7.0" x 7.0" stitched on 14 count. 5.4" x 5.4" stitched on 18 count. 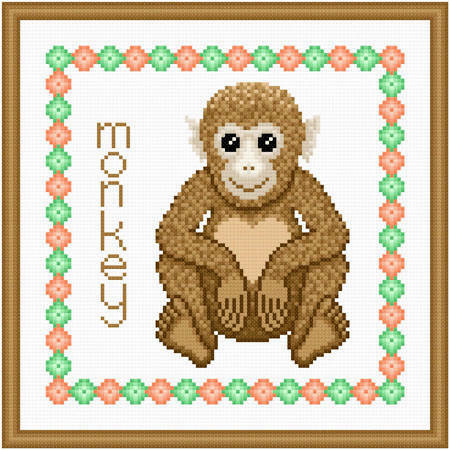 Baby Monkey cross stitch pattern... Part of the Baby Animal series, a baby monkey is presented with the word monkey vertically beside it and a border around it. All whole stitches are used. Colors may be changed.